Tunnels are among the most difficult and complex civil engineering project. Therefore, even the standard connection and alignment systems required to connect the tunnel sections are highly engineered. However, some tunnel projects present unique challenges that standard parts aren’t equipped to cope with. Optimas Solutions’ Tunnel Division knows that reengineering existing solutions to meet certain needs, or developing brand-new products, can go a long way in improving the tunnel building activities and the final output. Sandrine Ordener, Engineering Director at Optimas Solutions’ Tunnel Division, explains how your project can benefit from engineered tunnel fixing solutions. As we discussed in a previous article, there is no such thing as a standard tunnel design. Every project presents new challenges, based on end-goals, budget, geographical location, ground conditions, local practices and safety requirements. As a result, tunnel linings need to match with these conditions to appropriately connect segments and rings. This means that standardised fixing solutions will not always address the specific challenges and needs of a tunnel project. Fixing components are used to connect separate tunnel rings and segments, helping to support the strength of the entire construction. Therefore, fixing solutions should help seal the tunnel from water ingress as well preventing tunnel rings from opening or the tunnel ovalizing. A number of aspects can make these installation tasks even more challenging. Some of the factors that can play a major role include local conditions such as corrosive environments or the likelihood of seismic events. In such cases, otherwise reliable standard tunnel fixing solutions may be prone to early failures, subsequently compromising the service life of the entire tunnel. For example, standard connectors may not be able to withstand corrosion, balance strength and flexibility during earthquakes or bear high loads. In contrast, bespoke fixing components are conceived to address the individual needs and challenges of a tunnel project, thus will perform to a higher standard. In addition, turnkey solutions can simplify and speed up the connection of rings and segments, improving productivity onsite. To customise tunnel fixing components, experienced specialists such as Optimas’ Tunnel Division follow a rigorous method that ensures the delivery of high-quality suitable parts in a time- and cost-effective way. The process for optimising or innovating a tunnel fixing component begins with a customer inquiry. At this stage, communication and feedback is key to understanding the unique needs of a project. An experienced manufacturer of tunnel fixing solutions will use these initial discussions to identify whether a standard component would fit or if a bespoke solution is required. Further, the specialist can then determine whether a simple redesign or optimisation of an existing component may be sufficient, or if innovative, brand-new parts are required. For example, to address the challenges of tunnel construction in corrosive environments such as in the Inner Doha Resewage Implementation Strategy (IDRIS) project in Qatar, Optimas’ Tunnel Division used its expertise to redesign a standard grouting system, accommodating high-density polyethylene (HDPE) in-liners, and increase the lining’s resistance as well as its service life. Based on the initial assessment and the project specifications being agreed upon, the next stage of the innovation process is to produce a design concept for the custom component. During this stage, materials, forms and additional features are defined. Subsequently, engineering teams test the validity of the initial design running virtual simulations (in silico testing), e.g. finite element analysis. 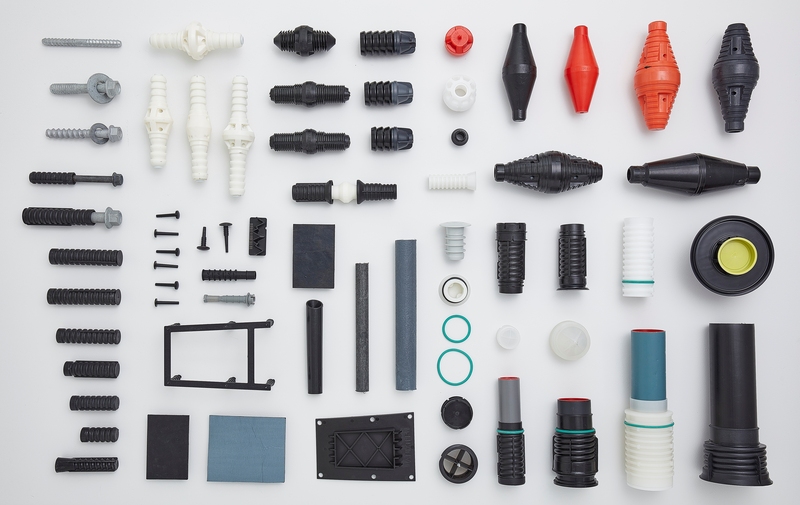 Once the theoretical model has been proved effective, initial proofs of concept and prototypes are created with 3D printing or other rapid prototyping methods. These are then used to conduct laboratory and real-life tests to evaluate the component’s properties, proving its ability to meet the initial customer requirements. Unsurprisingly, the protocols for testing are not standardised as the testing requirements will vary greatly depending on the project specifications set in the initial planning phases. Therefore, the manufacturer should work closely with the customer to define what tests are required. To guarantee the delivery of a high-quality solution, specific quality standards may be applied, even if no certification is required. For example, the specialised teams from Optimas’ Tunnel Division adhere to ISO 9001 quality standards. Also, the company has defined its own Quality Control-Quality Assurance (QCQA) system for its Sofrasar products. The QCQA system monitors the entire manufacturing and supply chain processes, from raw material procurement to customer delivery. Within Optimas’ QCQA framework, each contract includes extensive documentation, such as technical data sheets, lists of previous projects, delivery certificates and packing lists. Based on the results obtained, the component design or the production method may be further optimised, in order to improve the product performance or the repeatability and reproducibility of the manufacturing process. Once the final, optimal component design has been reached, the manufacturer will create a new, unique part number that identifies the component and proceed to manufacturing and supplying the first batches. Skilled tunnel component experts can deliver high-quality customised components in a short time, in order to enable an agile tunnel construction. Generally, the entire development process can be completed within one or two months, for modification of existing components, or in eight to 24 months for the creation of innovative solutions, as more tests are required. The different stages in the realisation of bespoke components require different skills and ranges of expertise. This often means that customers need to contact different parties concerning component specification consultations, design, prototyping, testing, and manufacturing of the final product. Specialist companies such as Optimas’ Tunnel Division can provide a single point of contact for all these activities. 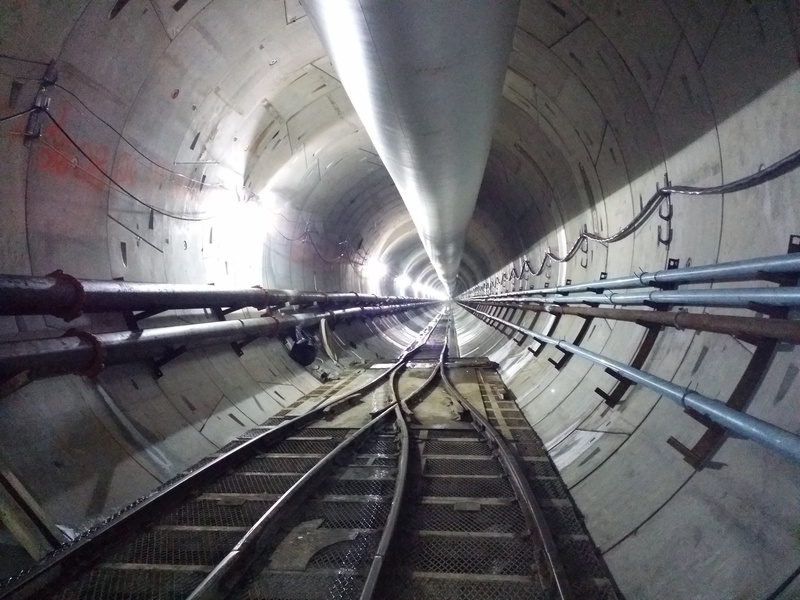 Referencing the example above, thanks to its in-house engineering and manufacturing capabilities, Optimas’ Tunnel Division was able to produce and supply the corrosion-resistant grouting system that the tunnel project in Doha, Qatar required. Whether optimising an existing component or developing a new one, either process presents challenges. It is the role of the designer to manage these challenges and deliver a high-quality part which displays clear performance advancements while remaining economically viable for use within a commercial project. Addressing the challenges and finding the balance can be achieved by fixing specialists with a deep understanding of the tunnel industry, an advanced product expertise and a material and technological knowledge for continuous development. Image 1: Fixing components are used to connect separate tunnel rings and segments, helping to support the strength of the entire construction. Image 2: The company has over 20 years of experience in the industry, thus it can easily understand and address the project-specific needs for any tunnel construction.